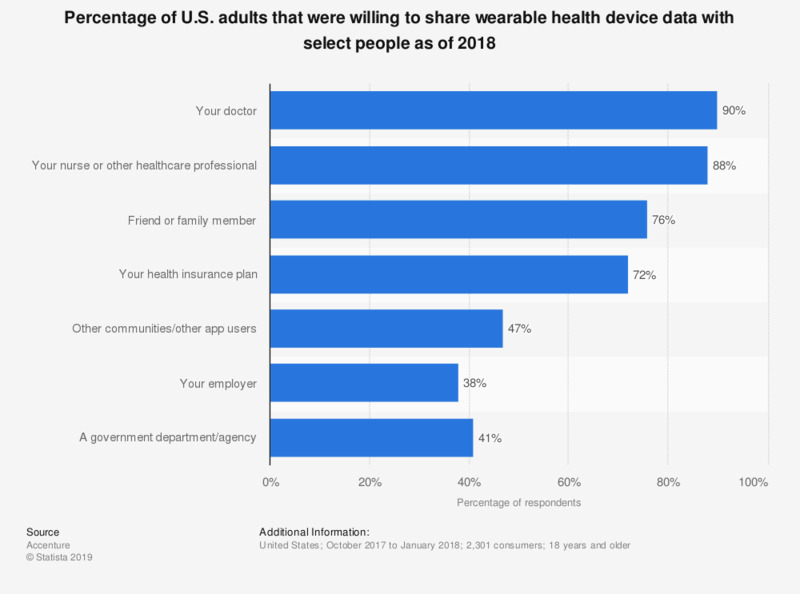 This statistic shows the percentage of U.S. adults aged 18 years and older that said they were willing to share their wearable health device data with select people as of 2018. According to the survey, 90 percent of respondents said they would be willing to share their data with their doctor. Original question: "How willing would you be to share information from your wearable technology or mobile app with each of the following?"